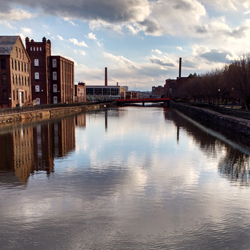 The Community Preservation Act (CPA) is a Massachusetts law that establishes a local community preservation fund for open space protection, historic rehabilitation, affordable housing and outdoor recreation in the city of Holyoke. Approved by voters in 2016, funds for the program are generated through a surcharge of up to 3 percent on property tax bills (Holyoke voters adopted a 1.5% surcharge), and an annual disbursement from the statewide Community Preservation Trust Fund, which distributes funds each November to CPA communities. The program is led by the Community Preservation Act Committee (CPAC), a nine-member volunteer committee with the support of a staff member. Learn more about the Committee here. Holyoke Boys & Girls Club for 70 Cosmos Way / Park Renovation Project - Recreational Rehabilitation: $359,689. We expect this recommendation to be placed on the City Council's agenda on Tuesday April 2nd. All welcome to attend. All meetings will be recorded. Twelve of the original applicants who applied for eligibility have submitted full applications (listed above). The applications include 1 open space, 1 outdoor recreation, 8 historic rehabilitation and 2 historic rehabilitation/affordable housing creation project proposals. The CPC is now reviewing the applications and beginning discussions with applicants. Great news! Our FY18 collections for CPA brought in $497,814, beyond our estimated budget of $450,000. Also, our state match for FY19 was $94,659 which exceeded expectations (at 19%). Read more about the state match here. Stay tuned for info on our FY19 budget, coming soon! Also, we now have a dedicated Facebook page! Please "Like" us and check in frequently for news updates. Our meetings are also available on Holyoke Media's Youtube Channel. For a complete timeline, click here. Browse our website to learn more about the Holyoke CPAC, what we do, and how you can participate.